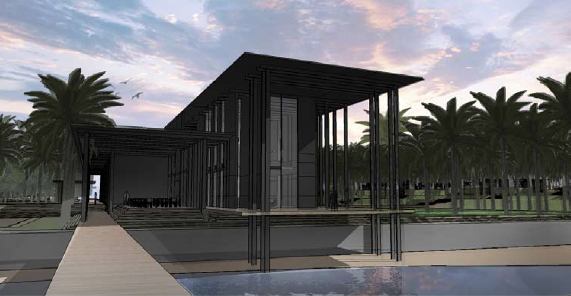 The construction of the International Centre for Interdisciplinary Science Education (ICISE) in the city of Quy Nhon (Central Vietnam) had the ambitious objective to focus on developing Science and Education, helping young Asian students and scientists to meet with the International Science community, bringing the opportunity to accelerate their knowledge from attending lectures and sharing ideas with overseas high-level counterparts. The discovery of neutrino oscillations which can be dated from 1998 was a major achievement. Since then refined experiments have mesaured with increased accuracy masses and mixings among the three flavors. The future is well defined: first resolving the mass hierarchy problem and then find the phase of CP violation in the leptonic sector. The neutrino workshop to be held in Quy Nhon Vietnam 16-22 July 2017 will cover all the topics of interest. Present activities will be reviewed: progresses in reactor and accelerator neutrinos, direct mass measurement, search for neutrinoless double-beta decays. the puzzles of sterile neutrinos will be discussed as well as neutrinos from astrophysics. Theory will cover the challenges which remain to unveil the properties of the neutrinos and their place in the Universe. Emphasis will be put on coming-up experiments, so as to help the Vietnamese community in choosing a path to develop its own neutrino research.